Parker Twin Filter will be present at this exhibition to launch their latest product innovation: TwinZapp. Parker Twin Filter ensures their customers to achieve full separation of positively charged (polarized) oil droplets from water through a 3-stage process, in which initially a chemically stabilized emulsion is destabilized by passing the water over an electrode. 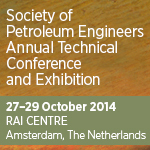 To learn more visit us at the ATCE!